Yucca's dot the gypsum sand dunes of White Sands National Monument. 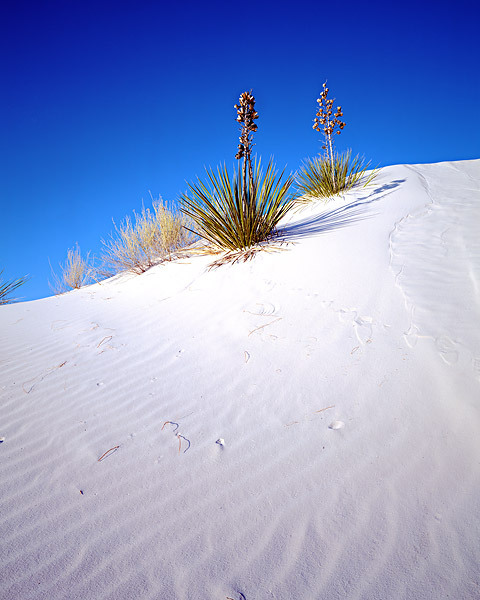 White Sands National Monument is home to the largest gypsum dunes found in the world. These amazing white dunes cover over 275 square miles of this New Mexico National Monument. Winds constantly blow over these dunes and hardy plants such as the Yucca somehow manage to survive these harsh conditons. Photo © copyright by Thomas Mangan.